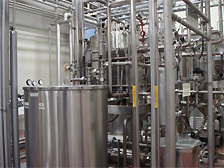 The Liquid Packaging Center is equipped with facilities for conducting a range of verification tests related to liquid paper containers. 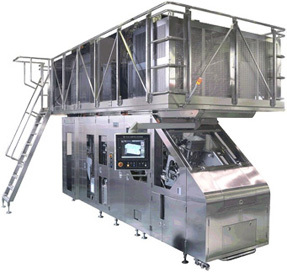 It performs filling tests for customers' new products, verification tests on new functional material, and so on. 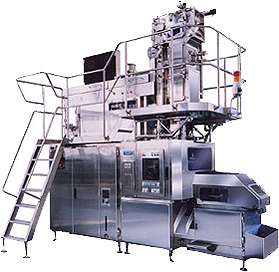 It also conducts filling machine maintenance workshops for customers' machine operators. 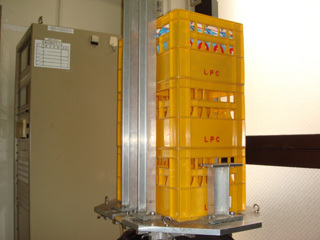 Representative items of equipment at the Liquid Packaging Center are introduced below. For simulation of testing in actual transport, we conduct pack durability testing that subjects filled packs to vertical vibration. 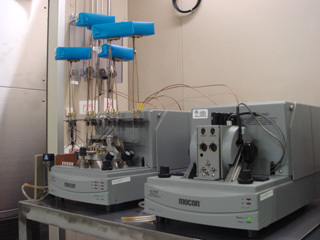 We measure the oxygen permeation rate of material and packs to verify barrier properties.